Vocus has announced a revised timeline for completion of the Australia Singapore Cable, with the telco saying today that expects it to go live in July 2018. The cable had originally been expected to be completed in September next year. Vocus Group CEO Geoff Horth said that the earlier go-live date came from condensing the program of works. “The Vocus and Alcatel build teams are familiar with each other having worked together on the successful delivery of our North West Cable System, which has facilitated the shorter timeframe for completion,” the CEO said. The submarine cable project was acquired as part of the company’s 2016 deal with Nextgen Group. Under the $861 million deal Vocus obtained Nextgen Networks, the North West Cable System and the Australia Singapore Cable project. The North West Cable System went live last year. The 4600km ASC cable will have four fibre pairs. Construction work is currently underway at ASC landing sites in in Singapore, Indonesia and Perth, according to Vocus. Horth said that Vocus has a first to market advantage of about 18 months to two years over other efforts to construct a new submarine cable from Australia to Singapore. 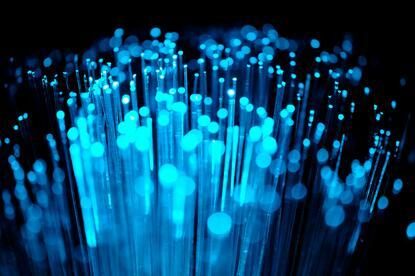 In April, a consortium comprising AARNet, Google, Indosat Ooredoo, Optus parent company Singtel, SubPartners, and Telstra announced it would construct the INDIGO cable system, which also aims to connect Australia, Indonesia and Singapore. INDIGO will be based on two fibre pairs. Trident Subsea Cable is constructing a cable system that will also land in the three nations.